Before motel chains homogenized the experience, nights spent in mom-and-pop lodgings were the stuff of road-trip legend. It’s easy to plan more of those getaways when you travel across Arizona, using Scottsdale as your hub. Check into places with history, character and style, and make sleeping part of your adventure. If the best sleep you ever got occurred in a classroom, Noftsger Hill Inn is for you. 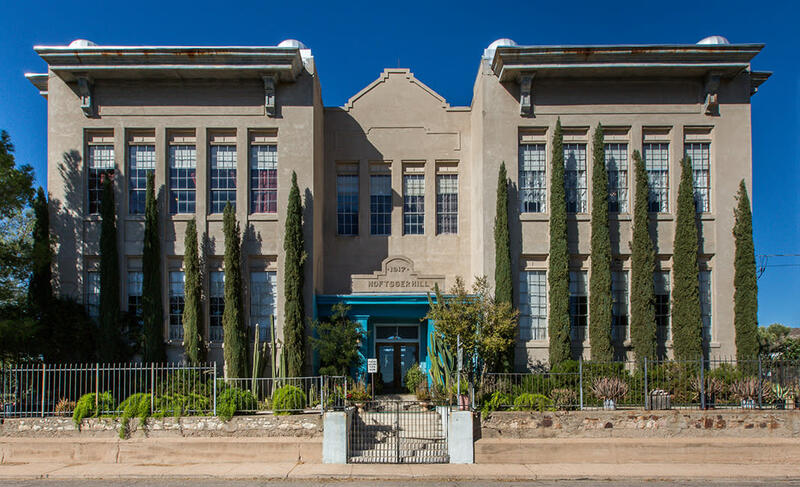 This former schoolhouse in Globe has been converted into a welcoming bed and breakfast with classrooms reimagined as spacious suites decorated with antiques and artwork. The coatrooms have been turned into private bathrooms with claw-foot tubs. The 900-square-foot rooms with views of the rugged Pinal Mountains earn high marks for style. Also in town, Besh Ba Gowah is a sprawling prehistoric Salado pueblo worth a visit. 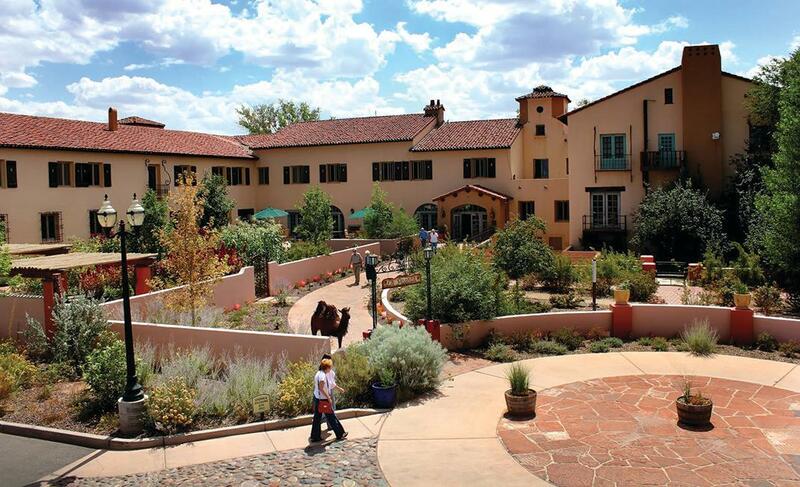 Opened in 1930, this is the last of the great Santa Fe Railway hotels. Considered to be architect Mary Colter’s masterpiece, the airy, romantic, hacienda-style La Posada has been painstakingly restored. Elegant rooms are named for celebrities who stayed here. You’ll find artwork and architectural details throughout the graceful building. Shady lawns and gardens surround the property, with the railroad in back and Route 66 in front. The Turquoise Room dishes up world-class cuisine. Down the block, travelers can become part of a musical history by “standing on a corner in Winslow, Arizona” in the specially designed park. Such a fine sight to see! 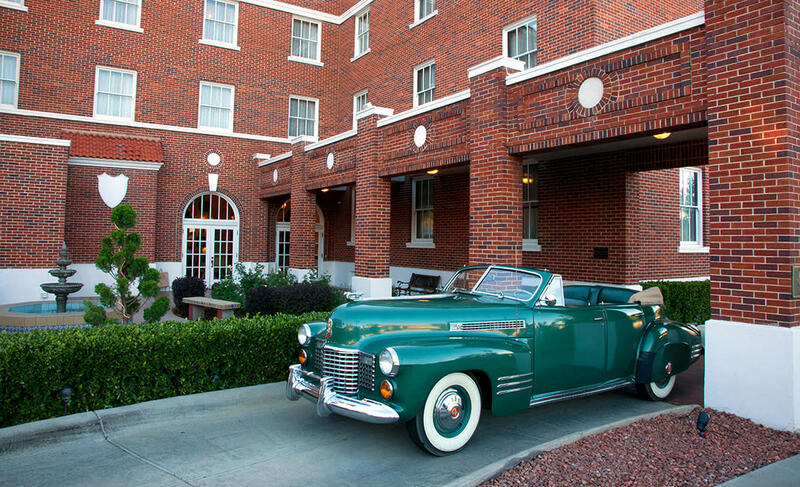 Sitting footsteps from Courthouse Plaza and the shops, bars and restaurants of Whiskey Row, Hassayampa Inn is the perfect locale for a Prescott weekend. The red-brick building topped with a bell tower dates back to 1927. The lobby features hand-painted ceiling beams, dramatic wall murals, stained glass and glazed tiling, along with a fireplace, piano and old-time elevator. As soon as you walk in, you realize just how different travel was back in the day. Rooms are a comfortable blend of modern amenities and historic flourishes. 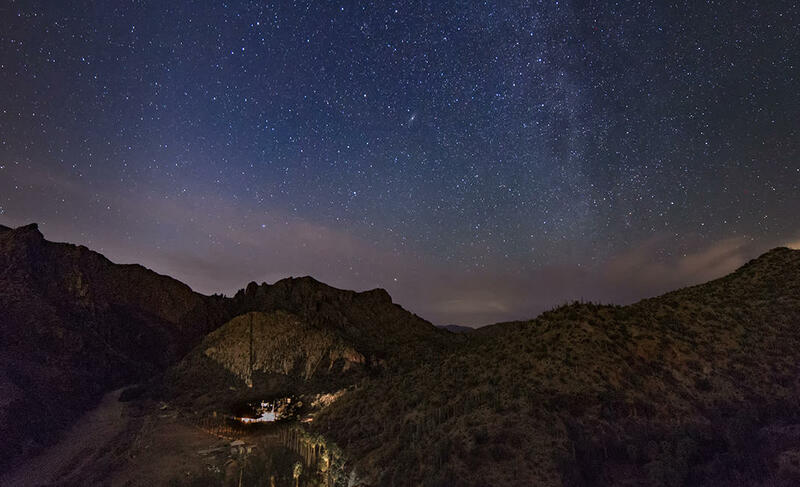 This remarkable place is the closest thing to a time machine you’ll find in Arizona. 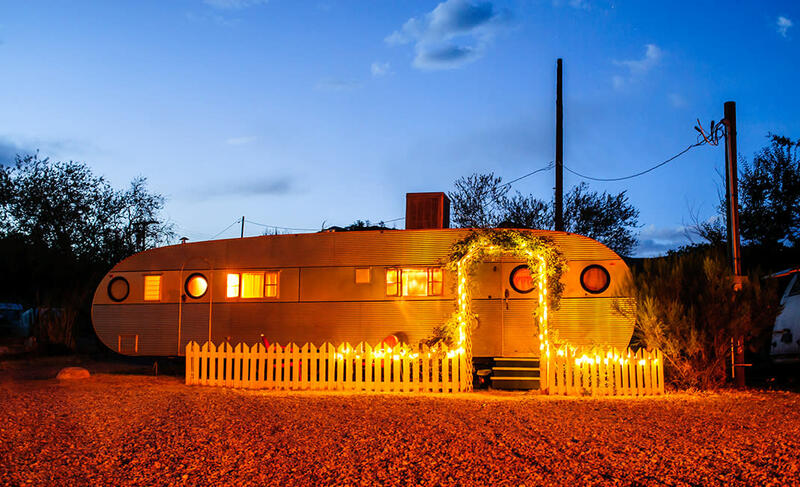 The vintage trailer park offers eight beautifully restored aluminum trailers for overnight accommodations, as well as a Tiki Bus and a Chris-Craft yacht. Every knick-knack and furnishing is age appropriate. The 1951 Royal Mansion, for example, is 33 feet of aluminum-encased swank, with leopard carpet, diner-style breakfast booth, and martini shaker and glasses on the kitchen counter. Each unit includes a patch of Astroturf, lawn furniture and pink flamingos, so don’t be surprised if impromptu cocktail parties with your neighbors break out. Don’t miss the Queen Mine Tour while in historic Bisbee.